There are serious reasons for snoring and teeth grinding in kids. Sleeping with mouth open and oxygen deprivation may be related. When you picture someone snoring, it’s probably an overweight male. While it is true that many adults snore, it may surprise you that many kids also snore! It may be common to think that a snoring child is cute. But the reasons for snoring can mean a serious risk to their health. Snoring in kids is linked to sleep disorders, and it should not be ignored. Your kid’s overall health and appearance could be deeply impacted by snoring. Sleep disorders can cause your child to be tired at school, cause them to behave poorly and affect their mood. It can lead to a lack of oxygen in the brain and this can cause teeth grinding. There are many benefits to dealing with your child’s snoring and teeth grinding. Sorting this out now – before they cause serious health issues – will a better chance. If your child sleeps with their mouth open or suffers from teeth grinding, it’s time to find the reasons for snoring. The term snoring refers to the sound that is made when someone is breathing through a reduced airway. The reduced airflow is usually located between the nose and the voice box. Sometimes the sound can be soft, but other times it can be so loud that it disrupts the whole house. Snoring can be the first sign of a serious sleep disorder. What are the real reasons for snoring in kids? When all of these start vibrating, the sound can get very loud! During sleep, the airways and soft tissues relax and then narrow when asleep. This increases the pressure needed for air to pass through the airway, causing vibration. Obesity, enlarged tonsils from allergies, a cold or seasonal allergies can also cause snoring. In adults, alcohol or serious weight gain can also increase snoring. Over time, snoring can get much worse. As the tongue and airway muscles continue to worsen and your child may stop breathing during sleep. These are called an ‘apnea’. For this reason, snoring in kids needs to be treated as soon as possible. Are kids supposed to snore? When some parents notice their kids snoring, they think it is common or even cute. This is a mistake – kids’ snoring needs to be considered a problem when first noticed. Snoring that occurs for more than four nights in a row is called “habitual snoring.” Habitual snoring can be a sign of sleep apnea symptoms in kids. If your kid is sick and has a blocked sinus, then some amount of snoring may be normal. However, if your child snores for more than a few nights in a row, it needs to be dealt with. Do not let this problem go untreated. Yes, snoring can lead to serious health problems in kids. Sleep disorders can become really serious, even stopping air from entering the lungs. Sleep apnoea is an extreme example and can lead to severe health problems in adults and children. Obstructive Sleep Apnoea (OSA) can lead to many chronic and fatal illnesses. Snoring and improper breathing during sleep may also stop proper jaw development. Because of this, children who snore are more likely to need orthodontic braces. These issues can be corrected, as long as you address the underlying issues as soon as you notice them. Snoring can prevent you from entering the deepest sleep phases. Deep, restful sleep is vital for children. During your deep sleep phases, your body releases a hormone called Human Growth Hormone (HCG). This is necessary for physical and mental development. A lack of HCG will prevent normal growth in both the body and brain. But your kid’s brain also depends on sleep to grow and develop properly. A lack of oxygen means a child’s brain never truly rests and the brain can’t lay down new neurons. You can imagine how distressing this is for a child. If your child doesn’t get adequate time in the deep sleep phase, they will feel tired, grumpy, confused and overwhelmed. In kids, this stress can start to build, and attention spans can be limited. This is a terrible way to feel, and can be easily avoided. Kids who snore might not be getting enough rest and quality sleep. Blood flow to the brain can also be affected by snoring. If the child snores they experience oxygen starvation and the brain can suffer. Some studies are suggesting that many kids diagnosed with ADHD might actually be suffering from poor sleep patterns. Research has shown that kids who snore are at a higher risk for behavioral problems. Kids who snore are not getting a fully restful sleep. Their concentration, attitude and mood at school can suffer. Poor behaviour and acting out could be the result of an over tired child. In order to improve their attention span, all of the causes of snoring should be addressed. What should I look for in kids who snore? With a blocked sinus a child is left to breathe through their mouth. While this might seem like a good solution, it isn’t. Nasal breathing is designed to provide your lungs and brain with more oxygen. If your child breathes through their mouth on a regular basis, they will experience a lack of oxygen. During sleep, their breathing gets worse. Over time, mouth breathing will cause changes to the facial structure of your child. Untreated mouth breathing and blocked nasal passages can lead to a high palate, crooked teeth and a long, narrow face. The lower jaw can be pushed back, and headaches can become a problem. Your kids’ health can be affected by snoring. But there are other signs of breathing dysfunction. Many children with blocked sinuses also grind their teeth. While teeth grinding is thought to be caused by stress. The real cause is lack of oxygen to the brain. During sleep if the airway is blocked, the brain detects lack of oxygen and pushes the jaw forward. This opens the airway, helping them to breath and clenches the teeth together. Teeth grinding in kids can be identified by certain signs in the mouth. For many kids, addressing the problems of snoring can help to stop teeth grinding. In some cases, parents might also need to look into braces or other dental help. Consult with your dentist or children’s orthodontist who works with airways and sleep. In order to address the health problems in kids who snore, it is important to seek a doctor or dentist who works with a sleep physician. Your kid may need to be referred to an Ear, Nose & Throat specialist (ENT) and/ or an airway focused children’s orthodontist. In some cases, a parent can help stop your kid from snoring quickly and easily. Myofunctional training and facial muscle retraining can correct breathing in kids. In airways blocked by inflammation, the cause must be found. This causes should be removed as soon as possible. Some kids will require surgery and orthodontics to help expand and fix their airways. In some cases, behavioral disorders and mental capacity can improve dramatically. If you or your child suffers from teeth grinding, snoring or a more severe sleep disorder, it is time to seek help. If you have a friend or family with a child who snores, share this article with them. Have you noticed that your child snores? Are you a health practitioner that treats snoring children? Leave your comments and experiences in the comment section below. So what about teeth grinding in adults? I am 35 yrs old and have grinded my teeth for as long as i can remember! 🙁 I’ve done chiropractic care in the last 8 yrs. I am now dealing with periodontal disease (bone loss). I had 4 children in the last 5.5 yrs (twins included), and breastfed all until 13 months old. I just recently read Cure Tooth Decay, and want to start implementing the FCLO and butter oil. Not sure what else. The teeth grinding may be linked to upper airway resistance syndrome. I would try and get a sleep assessment by an airway focussed dentist. Your periodontal disease often begins with vitamin D and gut health so you will want to also be assessed by a digestive specialist. If you download the EBook – I outline 4 quick dietary steps to start improving your oral and gut health. The full 40-day program will be in my book The Dental Diet! Thanks Doc! Appreciate it a lot, looking forward to hearing how you enjoy the book. My 3 yr old son snores like a grown man. Over the last year it seems it has gotten worse and he even takes really long pauses before he catches his breath sometimes. About a week ago he started grinding his teeth constantly not just once or twice a night I mean all the time. Definitely starting to think it has something to do with his airway. Looks like I’ll be checking into an ear, nose and throat doctor. Thank you for the info. I’m a 63 year old female and I am told I snore. When I wake up my mouth is always very dry as I’m sure I sleep with my mouth open. As an adult will that cause any dental problems? I have had to have quite a few teeth pulled, mainly molars. I tried taping my mouth shut for a short-time. What are your thoughts on mouth taping? Snoring in a child may indicate some underlying issues (Not Always) and could be potentially harmful on their development. These children may face behavioural problems, health issues and poor school achievement. 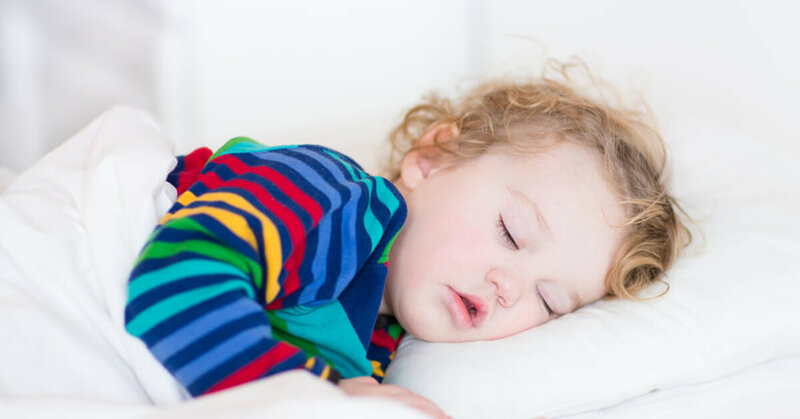 If your child snores regularly, is a restless sleeper, is very sleepy during the day, or has other issue with sleep, talk to your doctor, your child may have sleep related issues. The teeth grinding may be linked to upper airway resistance syndrome. I would try and get a sleep assessment by an airway focused dentist. If you download the EBook – Dr. Steven Lin outline 4 quick dietary steps to start improving your oral and gut health. The full 40-day program will be in his book The Dental Diet! I would also try and get a sleep assessment by an airway focused dentist. If you download the EBook, Dr. Steven Lin outlines 4 quick dietary steps to start improving your oral and gut health. The full 40-day program will be in his book The Dental Diet! Are there non-serious reasons for teeth grinding in children too? Or does it always indicate some kind of health problem?